At Tzunami, we work hard bringing you the best ECM to SharePoint migration solutions. Deployer is developed by our team of experts, concluding years of experience in ECM migration projects. These new features are designed to improve and optimize the migration process into SharePoint. What’s new in Deployer v3.3? 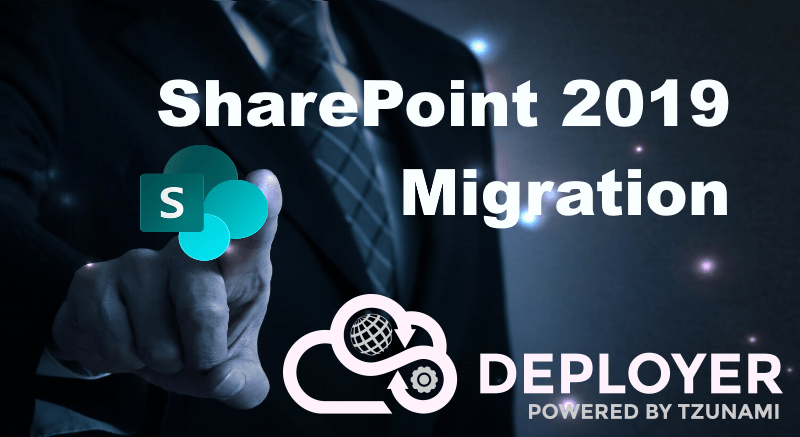 Delta Migration – Can be configured after a big data migration into SharePoint, the entire process is done at a press of a button. Never fear that the latest changes from your ECM system are not transferred into SharePoint. Analyze – sometimes, it is quite difficult to know exactly the amount of space stored inside an Enterprise Content Management (ECM) system. Using this new feature, the IT administrator will be able to know exactly the expected size that is required for the SharePoint. Share Point 2019 – Using Tzunami Deployer, you can easily transfer your data to SharePoint 2019 from almost every Enterprise Content Management (ECM) systems such as: eRoom, DocuShare, HPE Content Manager, IBM LotusNotes, Oracle WCI, Hyperwave, AquaLogic, IBM FileNet, Hitachi Content Platform (HCP), Atlassian Confluence, OpenText: Documentum, LiveLink and eDocs (Hummingbird). SharePoint 2019 will also support migration into Modern Pages. Rapid and consolidation into Microsoft SharePoint products and technologies. Migrates from a wide range of ECM systems into the SharePoint environment. Enables organizations wishing to use or upgrade their SharePoint to save time and dramatically reduce migration costs. Facilitates the preparation of remote modeling and migration plans offline and even off-site, working on virtual simulations of both systems. Site templates are utilized (both global and template galleries) as well as list templates in order to retain the look, feel and design of the new SharePoint solution. Support for SharePoint Modern Pages. Detailed Migration Reports on every phase – Export, Deploy and Commit phases.